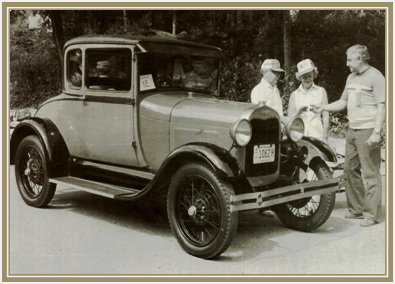 This Special Coupe was one of two Model A’s purchased new in 1929 by Dr. David E. Jacobs of Coudersport Pennsylvania. After his purchase, Dr. Jacobs decided to make his daily rounds throughout the northern part of Potter County using only one of his new cars with the intent of switching to the other when the first was no longer dependable. The second car, this 2-door Special Coupe, remained stored at a local Ford Agency where it was occasionally started and run. 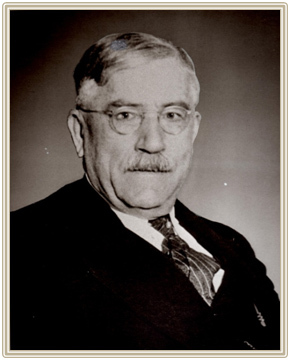 On November 29, 1959 Dr. Jacobs, at the age of 90, died. Having never married and leaving no heirs, his estate was sold at auction and the Special Coupe, then just 30 years old and with only 2000 original miles, was purchased by Harold Zwald of Cambridge Pennsylvania. Harold, worried that he might put too many miles on the car, soon sold it to William Burton of Lyndhurst Ohio. After enjoying the car for many years, Mr. Burton sold the car, in July of 1973, to Bertha I. Haueter of Chardon Ohio. Bertha, a long time Model A enthusiast, was looking for a complete car to restore and she had found it! Fortunately, after receiving much input and encouragement from other Club members, she reversed her decision and decided to retain the car in its original condition resisting her initial impulse and the 1970’s craze to restore it. In 1981 the car was entered in the newly founded MARC of Originality judging Class and received top honors. A feature article in the Jan-Feb 1982 Model A News Magazine followed with much of the history noted above. Bertha sold the car to Jerry Wilhelm, a long time friend and Model A enthusiast. While in his care, the car was inspected, documented and the data was used in a major portion of the research for the Model A Judging Standards. Ready to downsize, Jerry sold the car to Dr. Tim Howell of Indianapolis, Indiana in November of 1998. At the time of the sale the car had just 11,350 miles on it! Dave purchased the car from Dr. Howell who, during his almost 14 years of ownership, had continued to care for the car well logging in an additional 1,216 miles. This brought the total mileage at my purchase to 12,566 original miles. Today, this Special Coupe still remains just as Henry Ford himself built it in 1929, complete, running and with a current odometer reading of 12,815 original miles.